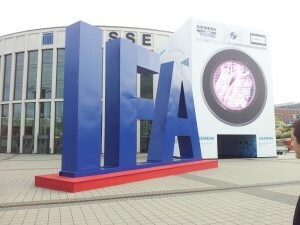 We’re at the IFA 2011 exhibition in Berlin this year to find out about the future of mobile. In the first of our IFA series, we look at the evolution of the mobile form factor. The IFA (or Internationale Funkausstellung Berlin) is an annual consumer electronics exhibition currently taking place in Berlin. A total of 1,368 companies are taking part from 54 different countries and are showcasing their latest products: from refrigerators to mobile phones, laptops to washing machines and tablets to 3D TVs. In this special series, we’ll be looking at some of the products announced at this year’s IFA and what the implications on the future of mobile technology. In the context of the phones announced at this year’s IFA, it’s remarkable to look back at how the mobile phone form factor has changed over the years. Many of the latest phones announced at this year’s IFA (e.g. the Samsung Galaxy Note, Sony Ericsson Xperia Arc and HTC Titan), all share some common characteristics: they have large touchscreens with high-resolution displays and no physical keypad. The devices continue with the recent trend towards larger devices: indeed the Samsung Galaxy Note has a huge 5.3-inch display. But why do we need large displays? And when does big become too big? 3 Why do we need larger screen sizes? 5 When does a screen become too big? Over the past few years, we’ve seen a trend towards smarter phones with larger and brighter displays. Consequently, smartphones themselves have been growing in size too so as to accommodate a larger screen. Yet this hasn’t always been the case: just a couple of years ago, the trend was towards smaller and more compact mobile phones. 1983: The first-generation Motorola DynaTAC was released. It only made phone calls (no text messages here!) and featured a small and simple one-line display which showed a phone number. 1990s and early 2000s: In the era of 2G phones (1990s and early 2000s), mobile phone manufacturers constantly competed to build smaller phones. These were the days of Snake and Breakout and devices still featured simple and low-resolution screens. 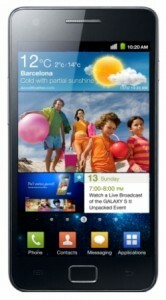 The Galaxy S II has a 4.3-inch display. What’s obvious to see over the past decade is the way in which screen sizes have grown, as the content we view on them becomes more visual. But whilst mobile phone displays have consistently been growing in size, mobile phones themselves had actually been getting smaller for much of the past decade. It’s only recently that phones have began to get bigger again in order to accommodate a larger screen. Initially displays could grow larger at the expense of smaller physical keypad on the phone. Eventually Apple abolishing a physical keypad all together with the launch of the Apple iPhone in June 2007. So far, 2011 has certainly been the year of the “big smartphone”. Flagship devices such as the HTC Desire HD (October 2010), Samsung Galaxy S II (February 2011) and HTC Sensation (May 2011) have all featured a large 4.3-inch display. Whilst mobile phone manufacturers initially tried to keep their products compact by reducing the bezel around the screen and removing physical buttons, there’s only a certain extent you can do this: the phone itself can’t be smaller than the display. In 2011, it appears we’ve approached this limit in the mobile industry: phones have begun to get bigger again in line with the displays. Two interesting new devices being demoed at the IFA this year include the HTC Titan (4.7 inches) and the Samsung Galaxy Note (5.3 inches). Are these devices too big? Or do they just continue with the obvious trend of increasing phone sizes? The HTC Titan has a 4.7-inch screen. Why do we need larger screen sizes? For basic mobile functionality (first & second generation features such as phone calls and text messages), a small and low-resolution screen such as that offered by the Motofone F3 can often be satisfactory. For the very basic tasks such as making calls and sending texts, a large and high resolution screen probably isn’t needed. As we consume more multimedia and share more experiences on our phones, it’s inevitable that consumers are going to demand better screens on their phones: consumers want screens which are larger, brighter and sharper than ever before. Consumers want to be able to see more text without scrolling and want to be able to pick out the fine details in every photo. As we look at the major trends in mobile technology, “convergence” seems to be the key word. Consumers want a single device which is powerful yet portable. 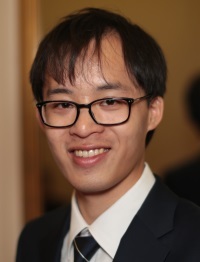 Such devices will be used for web browsing, photography, video recording, location-based services and mapping, social networking, e-mails and a diverse range of applications. There’s also a big movement towards shared experiences: not just sharing a Facebook status update but also sharing a Foursquare check-in, a photo or a Skype video call. Considering the changing ways in which we use our smartphone, perhaps it’s no wonder that consumers want bigger screens. Samsung believe the 5.3-inch form factor is great for note taking and drawing. Still, doesn’t mean I could draw any better than I could on paper! When does a screen become too big? 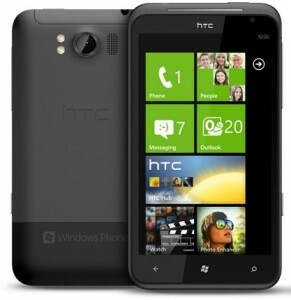 The HTC Titan (4.7-inch display) and Samsung Galaxy Note (5.3-inch display) continue the trend of larger displays. Is there really any benefit of an even larger display or does it just become too big? Having tried out both devices at IFA 2011, I adapted very quickly to having a larger display and the improvement was pretty clear. Video content and web pages are always going to look better on a large display: and they looked great on these devices. Yet even with a large display, both devices still feel comfortable to hold during phone calls. According to Samsung, the key benefit of the Galaxy Note’s 5.3-inch screen is that it brings some of the great multimedia experience you get on a tablet onto a smartphone. Samsung also believe the 5.3-inch form factor is great for making notes: they’ve included the S-Pen “stylus” with the Galaxy Note. There’s an argument that some portability is lost as we increase the size: yet that wasn’t too much of a problem given the device is lightweight and easily fits into a pocket. For me, the jump up to 4.7-inches or 5.3-inches is definitely a worthwhile one. There’s no doubt the multimedia and web browsing experience is improved by having a larger screen. Providing the large-display phones can be kept lightweight, there’s no reason why a large screen phone should be uncomfortable to hold. 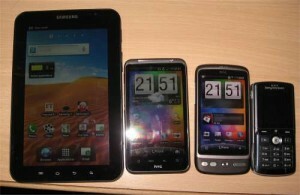 In my opinion, smartphone displays will continue to grow in size throughout 2012. 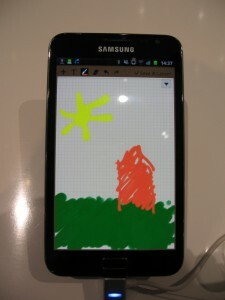 The Samsung Galaxy Note is currently being exhibited in hall 20 of IFA Berlin. The HTC Titan is currently being exhibited in hall 9 of IFA Berlin. Disclosure Notice: I am currently being hosted in Berlin by Samsung Electronics, the manufacturer of the Samsung Galaxy S II and Samsung Galaxy Note. The views expressed in this article are totally my own and reflect solely my own views and experiences of using the device.